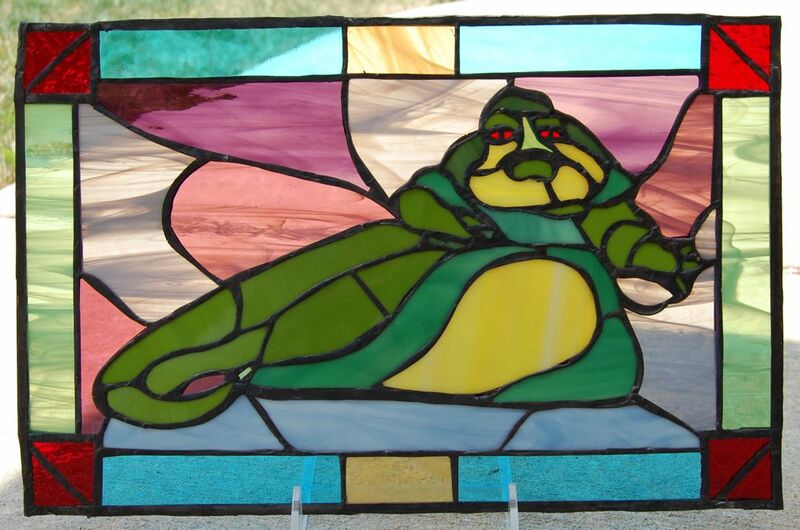 RussG over at the Rebelscum forums makes stained glass as a hobby. 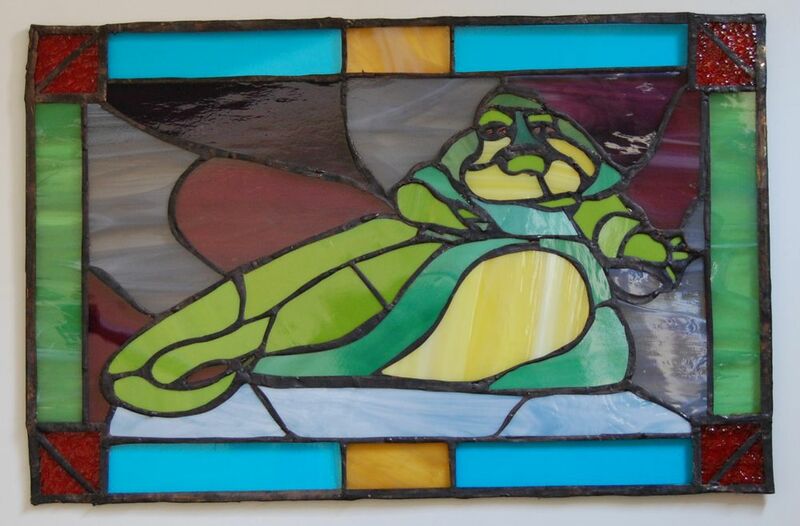 He’s done a number of pop culture-themed pieces, including Star Wars, so I asked him if he could make one of Jabba for me. We went through a few different design possibilities, but I decided that I wanted a full-body Jabba with a nice border around it. He really knocked it out of the park, if you ask me. It’s roughly 11″ by 17″ in size. Taking pictures of stained glass can be a little tricky, since the lighting changes its appearance quite a bit, but I think these are pretty good shots. The picture above is of the panel on a stand with sunlight shining through it. The picture below is the panel in front of a white background in natural light, which is closer to how it would look inside without any light source behind it.